The new block has been given a distinct identity with a simple and robust palette of contrasting materials. 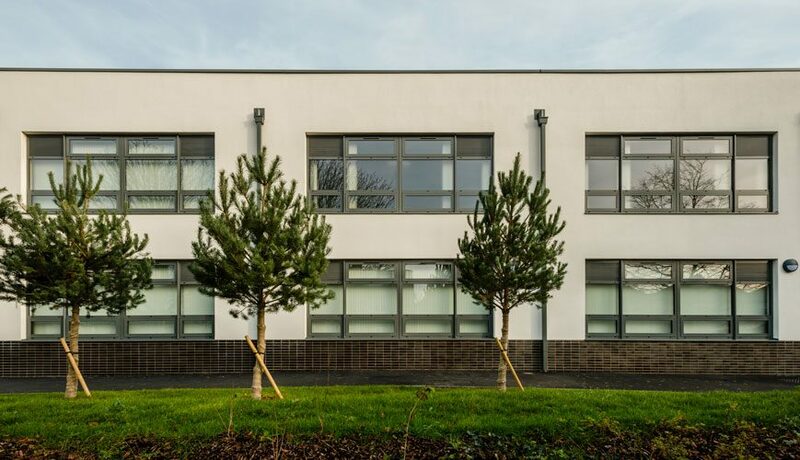 LOM architecture and design, working alongside Galliford Try, has completed a new build two storey block for Vaughan Primary School in the London Borough of Harrow as part of the Priority School Building Programme, delivered for the Education Funding Agency (EFA). 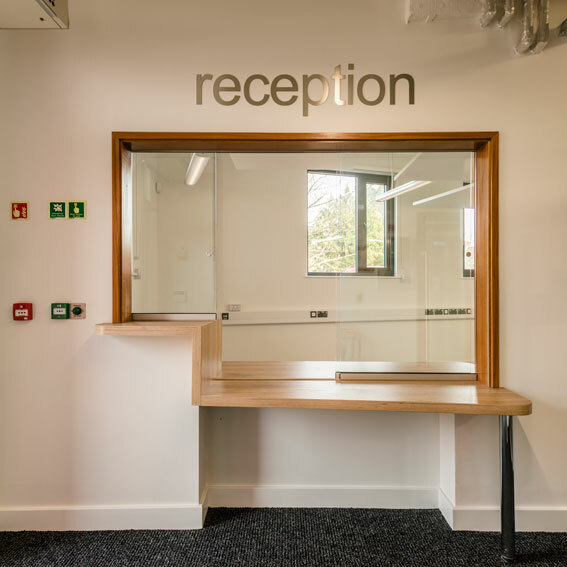 Work took place over two phases – Phase 1, a new build two storey Junior block followed by Phase 2 the remodelling of the existing school to accommodate the Infant school. 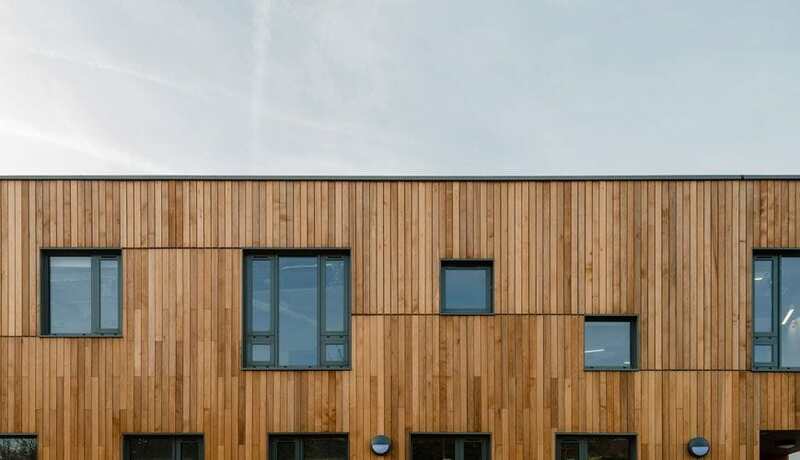 The challenge was to keep the school operational throughout the works and to create a Juniors’ block that was appropriate to the scale of the site whilst retaining sufficient outside space for play, sports and parking. 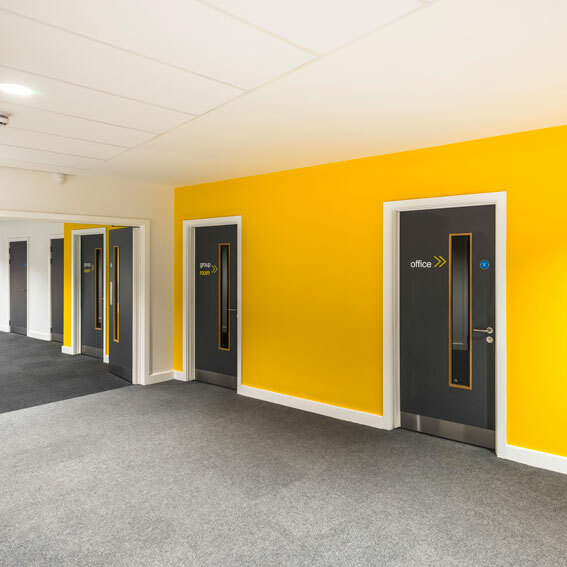 The new Junior block, containing a reception, sports hall, classrooms, kitchen, library, studio and cafeteria was given a distinct identity with a simple and robust palette of contrasting materials. 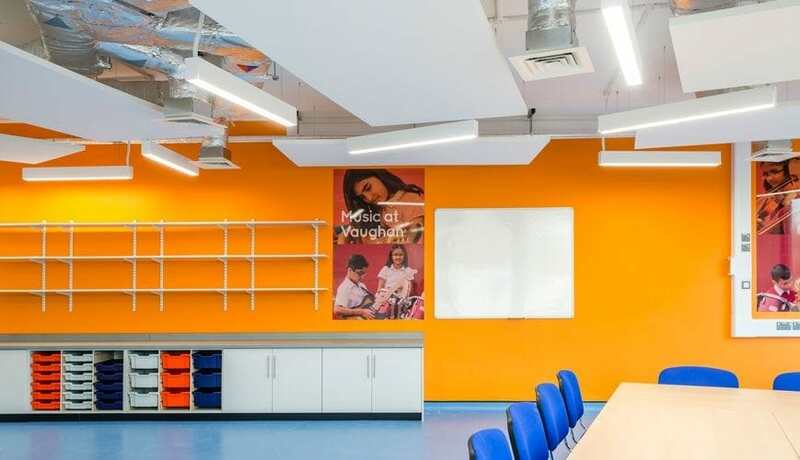 Teaching spaces are expressed as fixed formal white rendered blocks, protected and defined at ground level with stack bonded engineering bricks. 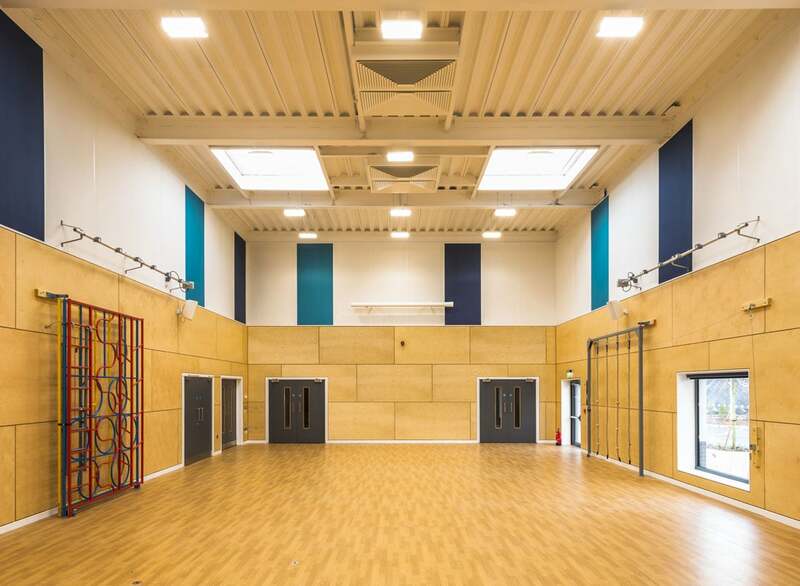 Support facilities are linked to the teaching spaces and clad with cedar boards and a rhythm of window openings of various sizes and heights to suit the activities within. 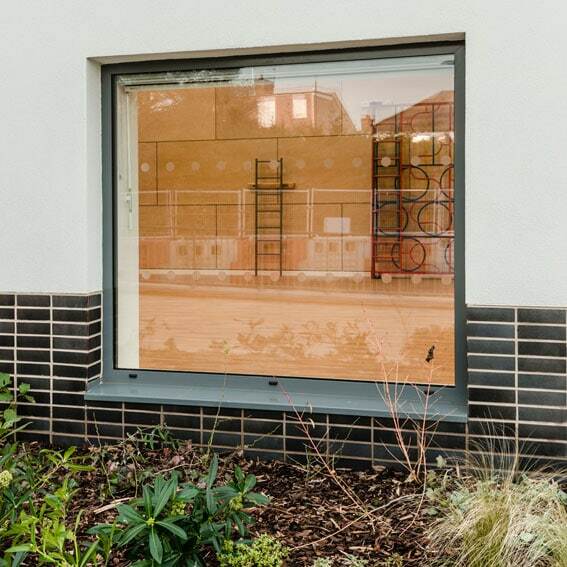 The block is designed to achieve a BREAAM ‘Very Good’ sustainability rating. Vaughan Primary School expansion is one of 10 school expansion projects that LOM has delivered for Harrow Council, meeting the need for more student places in the borough. 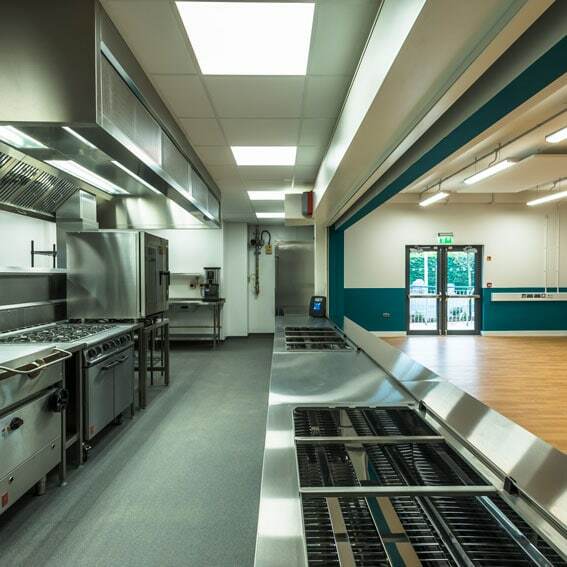 The project was originally part of the Council’s Primary Expansion Programme and gained planning permission in 2013. 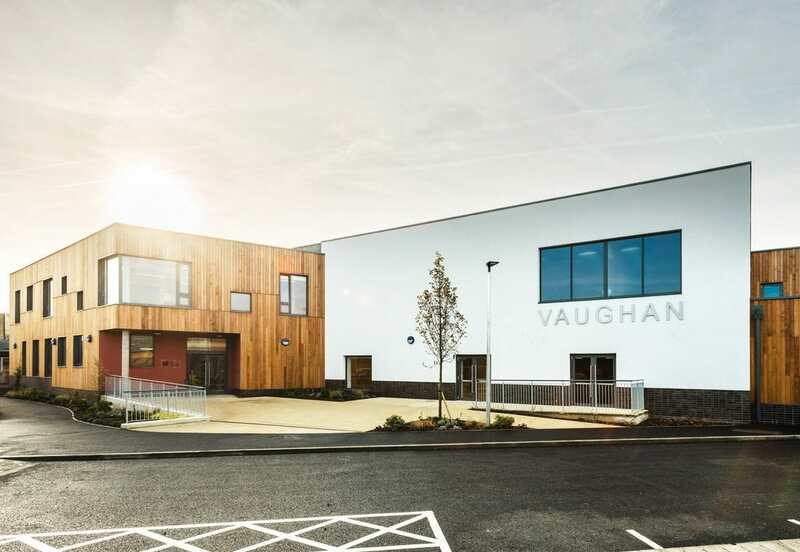 Vaughan was then selected by the Education Funding Agency as part of their Priority School Building Programme, and LOM reworked the scheme to suit the EFA’s requirements. This involved adapting the design, reducing cost and meeting their outline specification as closely as planning restrictions allowed.